Offering you a complete choice of products which include cotton bag, cotton bags, coloured cotton bags, cotton laundry bag, fancy cotton bags and jute cotton bag. Leveraging on our enormous knowledge and skills in this domain, we are reckoned as a valuable manufacturer and exporter of Cotton Bag. These bags are fabricated by using 100% pure cotton sourced from the reputed and authorized vendors of the market. Used for shopping purposes this range of Cotton Bag is available in different shapes, sizes and patterns so as to suit diverse requirements of our clients. Checked on finishing and durability parameters these bags are offered at a reasonable price. We are one of the widely acclaimed manufacturers, exporters and suppliers of Cotton Bags. The offered cotton bags are commonly used for carrying shopping goods and supplies. 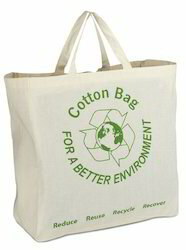 Our supplied cotton bags are made from cotton environment friendly cotton yarn. 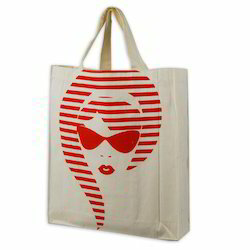 The offered cotton bags are highly liked and acclaimed by the clients. We are persistently striving to carry on our high credibility in the market by manufacturing and exporting an extensive range of Coloured Cotton Bags. These bags are fabricated by using finest quality and pure cotton sourced from the authorized and reliable vendors of the industry after strict survey on them. These Coloured Cotton Bags are available for our clients in vibrant colors, unique designs and styles so as to suit various requirements of our clients. 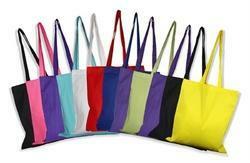 We offer these bags at the market leading prices for our clients. 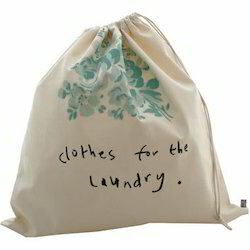 We are the leading company engaged in manufacturing and exporting of Laundry Bag. We are one the well-known manufacturers, exporters and suppliers of Jute Cotton Bag. The offered jute cotton bag is commonly used for carrying goods, vegetables and household supplies. Our supplied jute cotton bag is widely acclaimed and liked by the clients, owing to the natural fiber and optimal tearing strength. Our years of experience in the domain have enabled us in manufacturing and exporting a flawless range of Printed Cotton Bag. Our well skilled professionals fabricate these bags using the pure cotton fabrics and modern stitching machines. Their design contains of attractive prints on an off white background. We can customize this Printed Cotton Bag in different sizes, shapes and prints as per our clients demand. We check these bags on various quality parameters before dispatching to the clients. We are a market leader manufacturing export quality of Dyed Cotton Bag. These carry bags are made using 100% genuine cotton and and are offered in black colors for specific needs of our customers. The cutting, printing, sewing and quality checking of these bags is done by our professional staff using state of art technology. 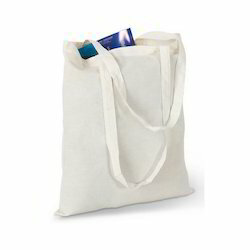 These Cotton Shopping Bag are very cost effective and have a very long service life. 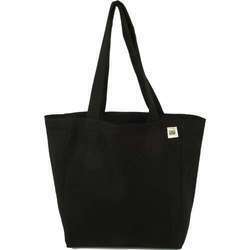 Our black cotton bags can be used for carrying tools, eatables, beverages, clothes etc. These are offered at affordable prices.